Please note that the content of this book primarily consists of articles available from Wikipedia or other free sources online. 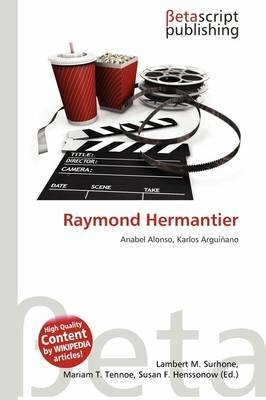 Raymond Hermantier (January 13, 1924 - February 11, 2005) was a French actor. Raymond Hermantier aspired to acting since the age of 17. His training was interrupted by WWII during which he served in the Free French Forces, until the liberation of Paris. Decorated by General Charles de Gaulle, he resumed his acting career immediately after the end of the war. Supported by Andr Malraux and Albert Camus, he ascended to fame at the Festival de N mes, France, in his role of Julius Caesar. After several movies and theater successes, he was offered the Directorship of the fledgling Senegalese National Theater by the King who aspired to a world-class national theater. This culminated in the National Theater of Senegal being the first African Shakespearean to tour major European capitals in 1974. This success was followed by many successful tours of Europe over the next 13 years.